On How Beautiful Creatures is 'Twilight' Reversed. [When I started writing this, I was originally going to plan it out clearly, but I had specifically its gender-norms obsessively on the brain, so that's what came out. Well, this was going to be an 'upcoming post' but I started writing and just couldn't stop, so here we go. Here, the supernatural being is the female; Lena is a force of nature (literally). We don't get inside her head, just as we don't get inside Edward's in Twilight. Ethan is the center and gem of the novel. He is, quite honestly, the most well-written male character I've encountered in Young Adult novels: he is kind, sweet, and caring, with a playful/goofy sense of humour. (And, unlike Peeping-Tom-Controlling-Husband Edward in Twilight, he is a normal human being. The point of this book isn't the love thing. It isn't "Oh, we're in love and blah blah blah". Twilight might have been an interesting concept and all, but it immediately turned into Bella the Self-Loathing Doormat + Edward the Controlling, Manipulative Emotionally Abusive Boyfriend= for infinity. Sounds like a nightmare to me, but whatever. This is Twilight reversed. Literally. 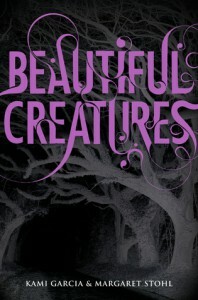 We are in Ethan's head in Beautiful Creatures. And it's wonderful. He has a fresh, simple humour and good-boy decency that makes him sound like the nice boy next door. With a grin and a wink. 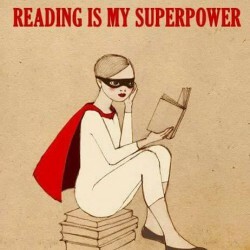 And...possibly with some supernatural powers of his own? When they have disagreements, they TALK about them. In Twilight, whenever Edward (or Jacob, his supposed foil) wants something involving Bella, he just does it. You want to drive your car, Bella? Too bad, Edward has taken out your engine. You want to just walk around in peace, Bella? Too bad, Jacob has decided to kiss you without your consent, rendering you to---and I quote--- "give up, stand completely still, and hope and wait for him to stop". Oh, yeah. Real gentlemen, those two. This is a universe away from that. Lena and Ethan actually act like normal people. In a supernatural world. That's what makes so much sense; they're both relatable, and this is really more of how a normal person would react to finding out they live in a supernatural world. Ethan, though, if I may return to him, is an extraordinarily-made character. I applaud Kami Garci and Margaret Stohl for the masterful way they imagined, created, and developed this character. Ethan isn't a caricature. He's not "some typical guy". He's lost his mother; it still hurts him. He has feelings; he has sad memories. He gets by with his reclusive father and his no-nonsense mother-figure with a blend of self-deprecating humour and charm. And, then onto the gender politics. We see inside his head; we hear his longings for Lena, but they're not sappy "I'll die without you" type things. The book starts with Ethan recounting the recurring dreams he's had of a woman he's never met. When he meets Lena Duchannes later on, he realizes that she is literally the girl about whom he's been dreaming. Stephenie Meyer might have tried to use some contrived "spiritual connection" between her characters to justify why they're so obsessed with each other, but, here, in Beautiful Creatures, there actually is a psychic connection between the two characters. They can speak in each other's minds. What's remarkable about this otherworldliness is how much is makes sense. We know everything about Ethan (he's our first-person narrator), so we know he doesn't have powers. We know Lena Duchannes (instantly ostracized at school) does have powers. They follow her emotions; she can't control them. But as Lena and Ethan band together, first in a sort of partnership/friendship that even Ethan admits he doesn't know how to define ("Were we going out?") mostly because of chance encounters, amplified by his chivalry in sticking up for her against bullies, in his interest/curiosity towards her; and finally cemented by the hunt for a secret that involves both of them; they inevitably form a bond. So, of course, they start off as just...two people. Ethan doesn't even know whether to call themselves "friends". AND I LOVE THIS. This is how it is with people; you can often fail to define what kind of relationship you have with them. Lena is dynamic. She's often sarcastic, and mostly a little hot-headed. I like it. She's how a regular teenage girl would act; or rather, a young woman. She makes Bella look like a lemming. It's not just that Lena is particularly self-assured (she gets upset by others' mockery of her, just as anyone would); it's that she's normal. Having been a teenage girl, and having been friends with teenage girls, I can honestly say that I can't imagine that Bella represents any mode of reality. She's a weird creation. But Lena is normal, and that's why I like this book. The authors blend normal characters that give positive depictions of both genders and of positive relationships--and not just romantic ones, but familial ones: Ethan's relationship with his three....erm...eccentric, bickering cat-loving, aunts is one of the funniest things I've read in a long time). These are normal people in a world they realize is not normal at all. That's what makes it so readable and relatable. And never mind that god-awful movie. (The actor who played Ethan definitely had the personality, but he came across as painfully awkward). Both Lena and Ethan are strong, inquisitive, sensitive, emotional, and brave. Ethan may be a little more cool-headed than Lena; he's more the peacemaker. But, the point is that they work together. Equalism is the name of the game. No one tries to control or cajole anyone. These are two people finding out about Casters and Seers and the possible end of one of their humanity (Lena might turn evil at 16 or might be claimed for the good) together. Right, so there's magic and Lena has it and there's stuff with time travel/visions/the Civil War, and a curse, and at 16 a "Caster" (NOT A "WITCH") is claimed either for good or for evil. Lena is afraid she'll be claimed by evil. Her mom is kind of...insanely evil. And her cousin, as well. And, technically, her benevolent uncle. Imagine him as the genteel vampiric-like bat hanging upside down from his Gothic mansion, immaculately dressed, inviting you for tea. Yep, that's Macon Ravenwood. Fascinating creature. Also, there are secrets about Ethan's mom and whether she was involved in magical activities. OH, THE SUSPENSE! THE ROMANCE! THE HUMOUR! iT'S REALLY GOOD! It's a world narrated by Ethan with one foot firmly in the normalcy of personality and relationships, and the other wonderfully in a time-traveling, mystical, enchanting, almost eerie fantasy. One wants to be sucked into this world, and at the same time, there's enough real-world politics (ie. Link's overzealous, religious mother) to keep the reader with one foot in a world s/he recognizes. It's realistic fantasy! I also encourage you to listen to the audiobook because that's the way I first read it and it was HILARIOUS. I mean, in a good way. The narrator was amazing and he could pull of ANY accent---and I mean ANY ACCENT and gender while sounding completely accurate and charming. He brought the spirit of the words to life (ie. Ethan's mother-figure often yells after him in a 'Southern-type, old-fashioned way' like "ETHAN CARTER WAITE! YOU GET YOURSELF BACK HERE THIS INSTANT!! NO CHILD THAT I RAISED IS GOING TO BEHAVE THAT WAY!" And he puts the intonations perfectly and he transforms his voice into this chastising Southern female's; I almost was scared of getting grounded myself. And the humour in this book really is sweet. It's a kind of good, old-fashioned, just normal laugh-out-loud humour. There are three cat-obsessed bickering aunts. They argue about who was in love with whom 50 years ago and who's deaf and who's REALLY turning deaf and they interrupt each other and they----"Eugenia, will you STOP talking and let the boy sit down?" -"Oh, don't be so ridiculous. And get that cat out of here!" -'You don't realize that my cat is a genius." -"Like hell he is!" They're like the three stooges. It's HILARIOUS.